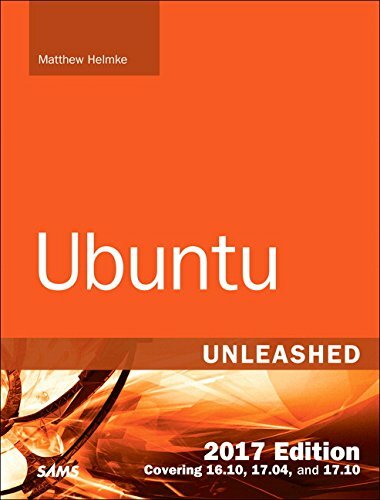 Ubuntu Unleashed 2017 Edition is filled with unique and advanced information for everyone who wants to make the most of the Ubuntu Linux operating system. This new edition has been thoroughly updated by a long-time Ubuntu community leader to reflect the exciting new Ubuntu 16.04 LTS release with forthcoming online updates for 16.10, 17.04, and 17.10 when they are released. Former Ubuntu Forum administrator Matthew Helmke covers all you need to know about Ubuntu 16.04 installation, configuration, productivity, multimedia, development, system administration, server operations, networking, virtualization, security, DevOps, and more—including intermediate-to-advanced techniques you won’t find in any other book. Helmke presents up-to-the-minute introductions to Ubuntu’s key productivity and Web development tools, programming languages, hardware support, and more. You’ll find new or improved coverage of navigation via Unity Dash, wireless networking, VPNs, software repositories, new NoSQL database options, virtualization and cloud services, new programming languages and development tools, monitoring, troubleshooting, and more. In addition, this book is part of InformIT’s exciting Content Update Program, which provides content updates for major technology improvements! As significant updates are made to Docker and Azure, sections of this book will be updated or new sections will be added to match the updates to the technologies. As updates become available, they will be delivered to you via a free Web Edition of this book, which can be accessed with any Internet connection. To learn more, visit informit.com/cup. How to access the Web Edition: Follow the instructions inside to learn how to register your book to access the FREE Web Edition.